Combine Alanis Morrisette's attitude with Fiona Apple's sultry voice, with Tori Amos' lyrical motifs, and you have this awesome London newcomer, Imogen Heap. I was online in a telnet chat, talking to another toriphile, and then she asks me, "Have you ever heard of Imogen Heap?" "Who?" "Imogen Heap. I've been playing her a lot. Someone told me that she sounded sorta like Tori, so I ordered the CD for like $6. You should check her out. "I might have to," I thought. The next day, when I went to Best Buy, I saw this album on sale for $9.99 and thought "What the hey? I'll give it a shot." I immediately liked it as soon as I put it in my CD player. I didn't hear any resemblance to Tori at all with the first listening. In fact, the first song, "Getting Scared" reminded me of the anger in Alanis' "You Oughta Know." Then, as the CD moved onto "Oh Me Oh My," I heard Fiona all over it; this song reminded me of "Shadowboxer." The only thing that remotely reminded me of Tori was the fact that one of the instruments featured in some of the songs was a piano. However, Imogen doesn't play the piano. In fact, Imogen wrote her lyrics and sings her songs full of passion, but she doesn't play any instruments. I kept thinking, "Okay, where do I see Tori?" It occurred to me after a few listenings of the album, during the songs "Sweet Religion," "Candlelight," and "Sleep." "Sweet Religion" has the feel of Tori's "Crucify" and "Precious Things" together. "Candlelight" rings similar to a recovery process of Tori's "Me and a Gun." 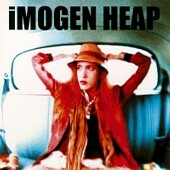 However, the more I listen to this CD, the more I hear Imogen, not the other artists that I have mentioned. While she has their feel, she really has her own unique sound and lyrics. I really respect her for creating such a powerful, life-questioning album. The more I listen to the album, the more I want to share with others. It is truly an awesome album. NOTE: Even though the album doesn't credit Imogen with playing the piano on her album, I've been informed by a couple of fans who've seen her live that she DEFINITELY plays the piano during her performances. Thanks for the emails.